The new Linnaeus University in Kalmar places great emphasis on sustainability in terms of both material choices and energy-saving solutions. The interior design will also follow the same eco-conscious lines, with elements of the university’s existing furniture being reused. One of the biggest building projects in Kalmar’s history, construction of the new Linnaeus University, is well under way. The new buildings by the harbour will unite the whole of Linnaeus University in a single location in the city, and serve as a complement to the campus in Växjö. In addition to attracting Swedish and international students, the campus, with its cafés and restaurants, will also become a meeting place for both local residents and tourists. The Universitetskajen district is being constructed under the direction of Skanska, which focuses strongly on sustainable materials and energy-saving solutions. The university’s interiors will also be characterised by green choices, with existing furniture being reused. Input interior, which is delivering the majority of the interior furnishings for the university, will be in charge of project management for the re-use process – a trend they have seen grow in recent years. “We are seeing great demand from our clients, within both private and public spheres, for reusing furniture in the event of reorganisations or relocations. There is no reason to throw away fully functional furniture; it’s a huge waste from both an environmental and a financial perspective. 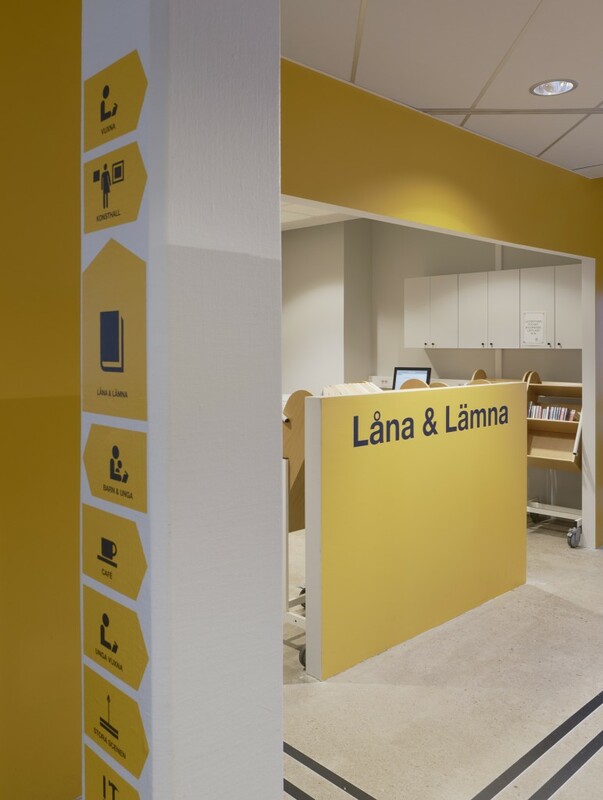 We are therefore pleased to be able to assist Linnaeus University in their aim to reuse elements of the existing furnishings for the new Universitetskajen,” says Daniel Vidlund, Site Manager at Input interior in Kalmar. Existing storage components, among other items, will be transferred during the move. “The furniture that is not moved to the new premises will instead be used in other locations as needed. We advocate re-use as much as possible, but furniture that is unfit for use will be scrapped in an eco-friendly manner,” says Daniel. Linnaeus University is also investing in new, sustainable interior furnishings. This will include furniture for the new buildings from Lammhults in Småland and Skåne’s Blå Station. “The university currently links together Växjö and Kalmar, and once the buildings are complete students and researchers from around the world will also visit it. So it will be great to be able to introduce them to Småland furniture traditions and crafts,” concludes Daniel. The first phase of Linnaeus University is expected to be complete in 2018, with relocation to the finished sections preliminarily planned for autumn. The third and final stage will be concluded in 2020, at which point the whole university will be complete.